The BFA Annual Conference has been held every year since 2002. 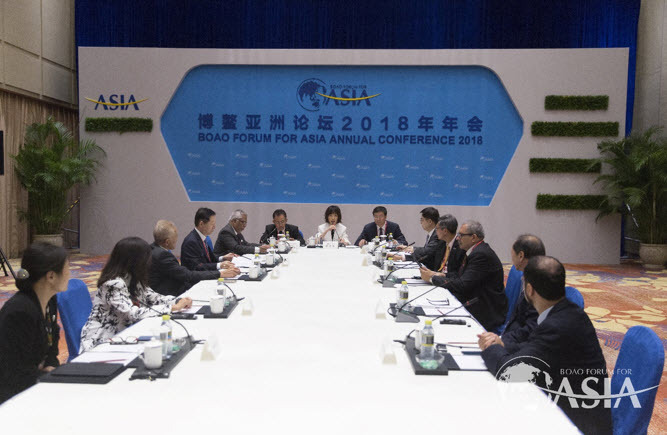 The BFA, known as the World Economic Forum (WEF) of Asia, was launched to promote socio-economic development in Asia through collaborations and exchange among Asian countries. Among the 15 universities representing higher education in Asia, as part of the Asian Universities Alliance (AUA), SNU is the representative for Korea. President Sung expressed the hope that SNU would contribute to Korea’s social integration through active lifelong education provided by free online courses available on edX and Korea-Massive Open Online Courses (K-MOOC) and embodied by SNU’s forthcoming Siheung Smart Campus. He stated the importance of these efforts in Korea’s current socioeconomic situation as an aging country facing the emergence of the Fourth Industrial Revolution.